In 2010, reports of Somali pirates pouring into Nairobi's middle- and upper-end property market began to emerge from the Horn of Africa. Laden with sacks of cash, these rogue investors were said to be converting illegally-acquired ransom bounty into commercial and residential real estate in Nairobi's bustling Eastleigh district. Property prices in Eastleigh – the long-time centre of Kenya's Somali community – reportedly doubled as some $100m entered the market. "They usually paid in cash, often with bags filled with dollars," says Bernard Ochieng, of Crystal Valuers, a real estate agency in Nairobi. He estimates that 20 per cent of his clientele at the time was Somali. "They bought condominiums and entire apartments blocks, typically as investment properties and mostly from $400,000 up to $1m and $2m." With the number of pirate attacks down by two-thirds this year, purchases by Somali pirates have decreased by almost 50 per cent since 2010, according to Ochieng. Either way, the Nairobi investments are emblematic of an emerging trend towards property purchases in highly unusual and unexpected locations around the world. assets, some are nationals wanting to invest in safer regions than their own, while others buy to support specialist interests, such as fly fishing and conservation. Upper- and middle-class Mexican buyers in tiny Texas border towns are seeking havens from the drug wars plaguing their homeland. Wealthy Venezuelans, who already have second residences in New York or Miami, have significantly increased their presence in neighbouring Aruba this year as President Hugo Chávez secured a third term in office.Dubai, still recovering from 2009's property bust, has benefited this year from a 30 per cent increase in well-heeled buyers from Afghanistan eager to acquire assets abroad as their country prepares for the pull-out of US troops in 2014. Elsewhere, from Scandinavia to southern Africa and lower Patagonia, wealthy buyers are transforming tracts of savannah or forestland into personal nature and sporting reserves. "These are pioneer buyers, people willing to take risks ... who are motivated by unorthodox rationales," says Joachim Wrang-Widen, regional director for Europe, Middle East and Africa at Christie's International Real Estate in London. "They crave a connection to their purchase," he adds, "much as if they were collecting classic motor cars or fine wine." Whether experiencing a handful of sales or a small-scale "boom", unusual markets can sometimes serve as a pointer for mainstream international property interest. When tremendous global wealth and economic uncertainty exist side by side, the remote nature of these markets is attractive to both illicit wealth and to rich buyers, many of whom favour authenticity and exclusivity over luxury and grandiosity. Take the town of Portobelo near the port of Colón in Panama. Far removed from Panama City's skyscraper-packed centre, Portobelo's Conquistador-era history, Afro-Caribbean culture and rustic, untouched beauty are attracting buyers from Europe and Latin America. "There is history wherever you step," says local developer Ulrich Schwark, who adds that oceanfront lots can still be found in Portobelo for roughly $20 per sq ft. "There are no defined patterns just yet, but buyers seem to prefer small plots of land to build little houses or farms." Those buyers, Schwark says, number about 20 a year and his firm, Two Oceans group, has quietly advised more than a dozen buyers from northern Europe and North America who have spent between $100,000 and $4m on Portobelo properties. Those numbers, however, are certain to rise, once Two Oceans opens Latin America's first Kempinski resort with 106 guest rooms and 75 luxury residences, in 2015. Portobelo's under-the-radar status is likely to be further eroded by the launch of a far larger residential resort, the nearby Bala Beach, a new trans-isthmus highway and the completion in 2014 of the Panama Canal expansion. Far more costly – and more remote – "fringe" property markets are now developing in salmon-fishing and fly-fishing destinations in Europe and South America. Set along the Norwegian fjords, salmon-fishing properties, which are rare and don't often come to market, have proven particularly attractive to wealthy, aristocratic British buyers. Øyvind Olstad, of Oslo-based real estate agency Regent Eiendomsmegling, says: "These are extremely difficult to find and many are owned by English peers or are held in other private hands, often in the form of a collective." Similarly-styled properties, adds Christie's Wrang-Widen, are now beginning to see buyer interest in Russia's Kola Peninsula north of the Arctic Circle, which is also emerging as an upmarket travel destination. In Patagonia, meanwhile, fly-fishing enthusiasts are purchasing secluded, riverfront lodges with 100 hectares or more of land near the tiny town of San Martin de Los Andes, nearly 1,000 miles west of Buenos Aires. 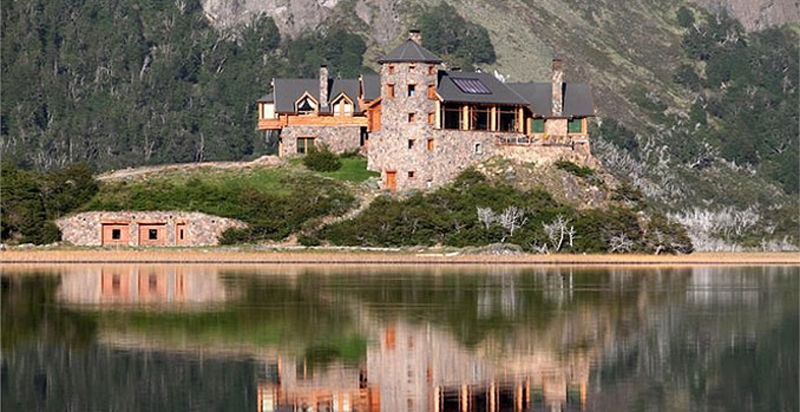 The properties are expensive – established estates run between $1m and $8m, while undeveloped land costs from $3,000 to $5,000 per hectare, according to Luis Bonsegnor, president of Buenos Aires-based Christie's affiliate ReMind Group, which is offering the 2,500-hectare estate Lago Bueno for $13m. "Most of the buyers come from Europe and the US," says Bonsegnor, who adds that his firm makes two to four lodge sales each year. "The properties always include their own water sources and are close to an airport." In the US, where sales figures in "over-discovered" markets such as Miami and Manhattan are hitting all-time highs, a string of unremarkable south Texas towns have experienced unexpected growth. Some buyers are middle- and upper-class Mexicans fleeing drug-related violence in neighbouring border communities. Most purchase in secure, gated developments such as Sharyland Plantation near the hamlet of Mission, says local agent Rene Galvan of RGV Realty. And most pay less than $300,000 – modest by Manhattan or London standards but enough to boost the housing market in one of America's most depressed regions. "These people could definitely afford to spend more, but they don't want to show their wealth, they want to blend in," says Galvan. "Lower-priced homes are also easier to sell if the need arises." At the opposite extreme is Portugal, whose upper-end real estate market has proved buoyant despite price decreases of between 4.5 and 15 per cent in nearby Paris and Rome, according to Knight Frank's early November Global Cities Guide. Local agents say Portugal's resiliency amid three years of economic contraction is a result of timing, smart planning, and good luck. Angolans and Brazilians – lured by colonial and linguistic ties, and funded by oil and commodities-based wealth – have become buyers across the Lisbon area. Today, they comprise between 30-40 per cent of Portugal's upper-end market, says Tiago Queiroga, partner at Sotheby's Realty Portugal. "At the highest end, property prices have declined by just 10 per cent at most," says Rafael Ascenso, chief executive of Christie's affiliate Porta da Frente real estate in Lisbon. Yet even the most expensive Lisbon-area properties, such as Atlantic-front homes in nearby Cascais and Estoril, are still one-third the cost of comparable real estate in most western European resort areas, Ascenso adds. "We didn't overbuild, we didn't inflate our prices and we're linked to these wealthy ex-colonial communities," he says. Although it may not be enough to rescue the rest of the country's economy, such prudence and prescience have made Portuguese property the EU's unexpected success story of the eurozone crisis. Beyond Portugal and Panama, east Africa and Argentina, Christie's Wrang-Widen cites both the Namibian wilderness, where conservation-minded buyers are creating private game reserves, and mineral-rich Mongolia as other markets at the edge of conventional real estate consciousness. Other locations include Beirut, with its steady supply of Middle Eastern money and residential towers, and even agricultural estates in Ukraine. "The majority of buyers today are still focused on the most mature markets," says Wrang-Widen. "But for those willing to look further afield, property is not just about wealth preservation. These clients truly take a different approach to using their real estate investments." While both Somali pirate attacks – and property purchases – have decreased in east Africa, 2010's investment boom has clearly left its mark on Nairobi's upper-end real estate market. According to November's Knight Frank report, property prices in Nairobi have risen by nearly 18 per cent this year, making it one of the world's top performing capitals. Ben Woodhams, Knight Frank Kenya's managing director, attributes much of this spike to the reported $100m in remittances Kenyan expats send home each month. But, like Panama's Portobelo – where the 17th-century pirate wars first helped to make the region rich – bandits and their bounty can still prove a boon to obscure locations. Leído 16679 veces | Te gusta? Tweetealo a tus seguidores!